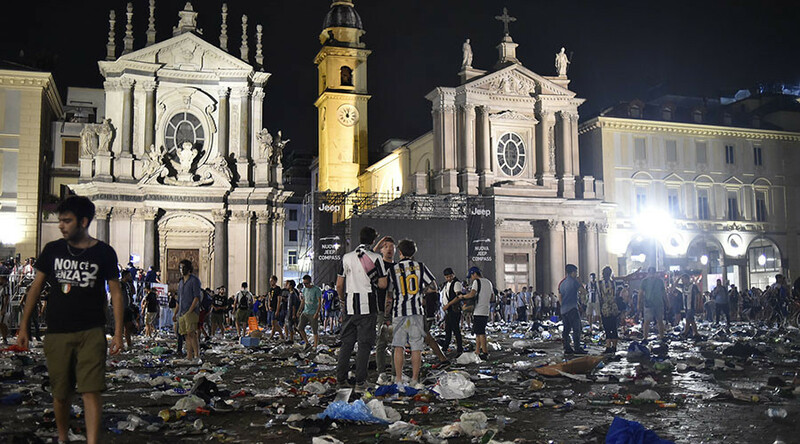 A stampede in Turin left hundreds injured when loud bangs, reportedly mistaken for a bomb, caused panic in San Carlo Square where soccer fans gathered to watch the Champions League final between Juventus and Real Madrid in front of a giant screen. Tensions flared during the second half of the match, which Juventus went on to lose 1-4. Video cameras captured a sudden rush in the middle of the crowd, triggering a surge that flung people against barriers, Reuters reports. Scores of fans ran out of the center of the square, screaming in panic and fear for their lives. 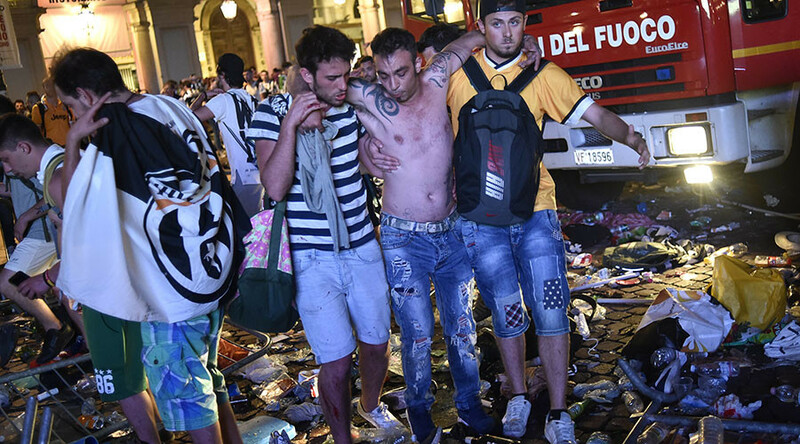 More than 1,500 injured in the stampede have been treated, Italian media reports, citing the Turin prefecture. 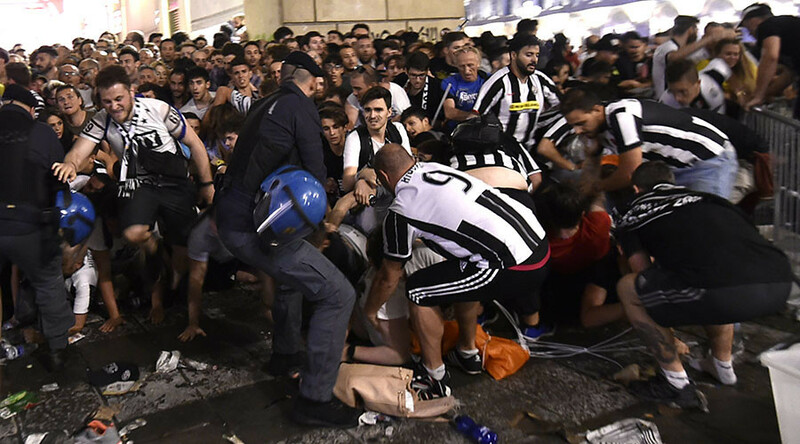 Around 1,100 were taken to hospitals in Turin, with the rest taken to neighboring medical facilities, according to La Repubblica. — Rafael Lopez (@Rlopeznews) 3 июня 2017 г. According to a Reuters witness, the anxiety was caused by a loud firecracker that was mistaken for a bomb. — Guido Mastrangelo (@GuidoGma) 3 июня 2017 г. Chaos ensued around ten minutes before the end of the match, with several people shouting that a bomb had gone off, AFP reports. — J.ChristopherProctor (@Jcproctor29) 3 июня 2017 г. Hundreds of shoes and bags were scattered on the ground as people ran out of the square searching for friends and relatives. In May 1985, 39 people, mostly Italians, were killed and 600 injured when a wall collapsed on them before the European Cup final between Juventus and Liverpool in Heysel Stadium in Brussel, Belgium.